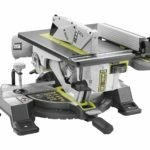 Up until now, if you wanted an oscillating sander and belt sander 2 in 1 combo sander, you had to go with Ridgid’s model. 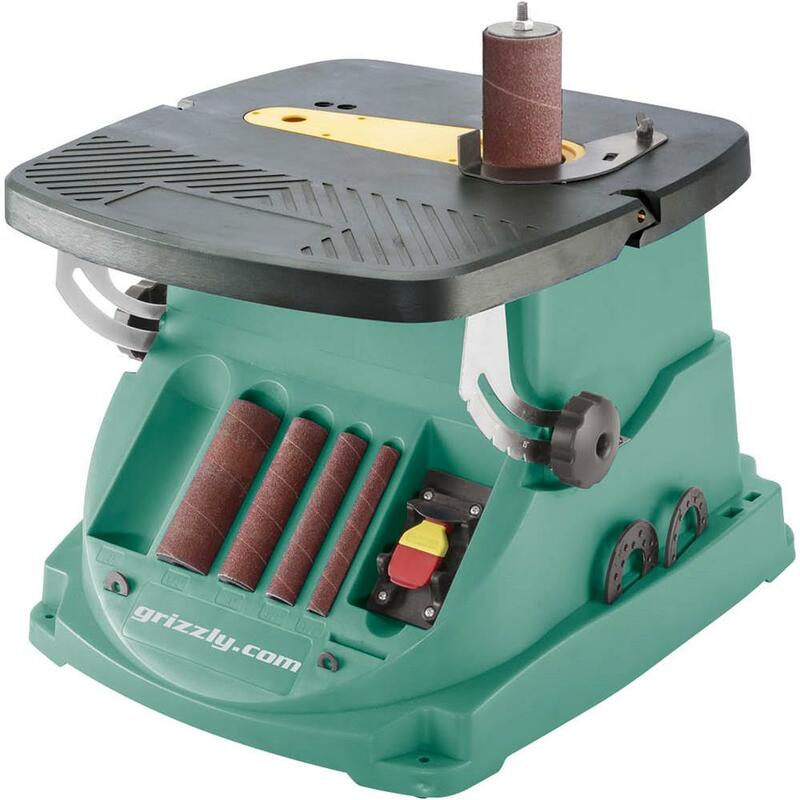 Now Grizzly has joined the fun with their own 2 in 1 combo oscillating edge belt and spindle sander. 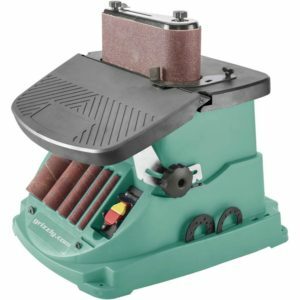 Just like Ridgid’s model, Grizzly’s creation also blends the usefulness of an oscillating table top sander with a belt sander. 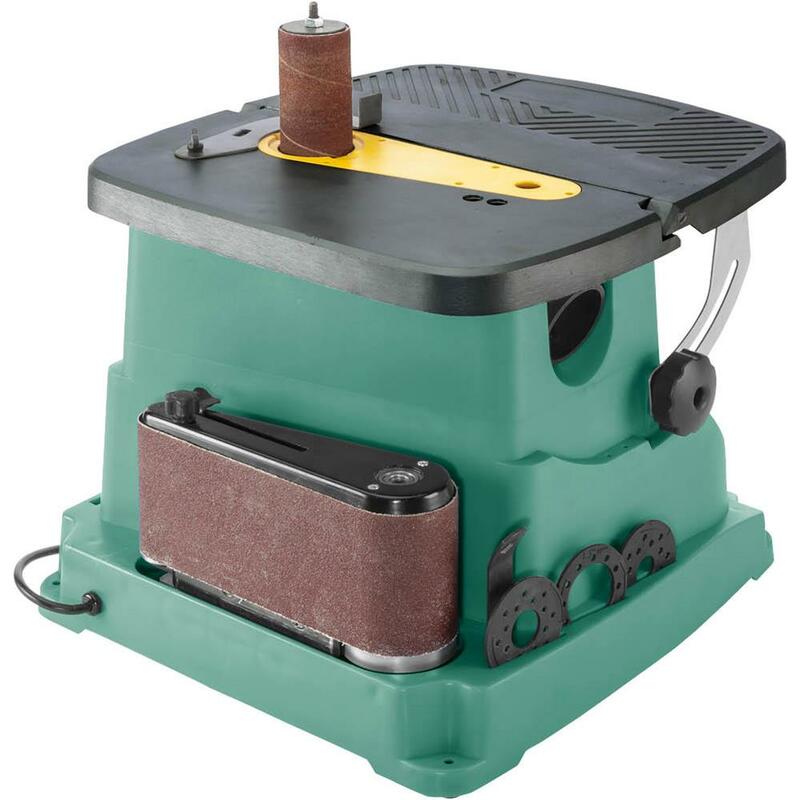 It too uses a 4×24″ sanding belt that can be detached and stored on the back of the unit when not in use. There isn’t much difference in both systems in terms of looks and functions, except maybe Grizzly’s is a tad bit smaller looking. 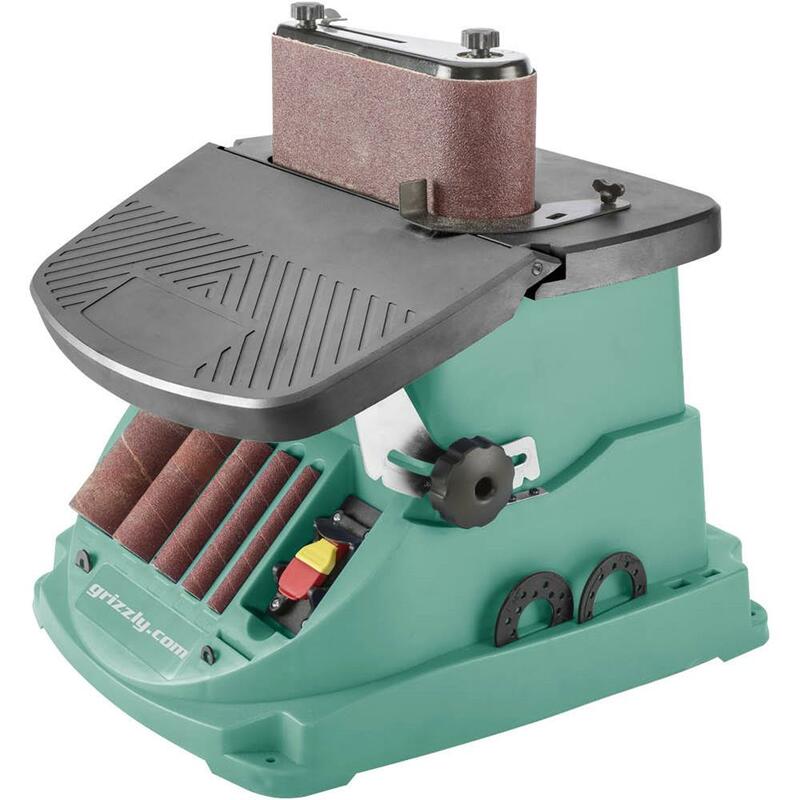 It certainly isn’t as wide as Ridgid’s model and sanding drum table inserts have storage slots have been moved to both sides instead of the face of the unit. 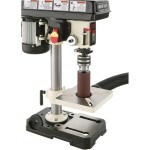 One thing were they seem to have went backwards, was with with the use of a plain old nut holding down the sanding drums. It doesn’t get much more simpler than that folks and what I’m not crazy about it is that it means you guys are going to have to whip out the good old wrench just to install and remove sanding drums. 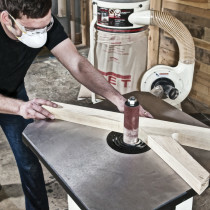 This is a step backward when Ridgid’s offering uses threaded star nuts to hold down it’s sanding drums, making drum changing quick, easy, and most importantly tool-less to change. What’s also strange is that in the included pictures we can see that they use a threaded star nut holding down belt sander attachment, so I wonder why that isn’t holding down the sanding drum in the main picture. 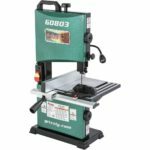 Although smaller looking, it offers an 1/8 more power than Ridgid’s offering with a 1/2 horsepower motor and the price is a bit lower at $189 at the Grizzly website. Approximate shipping weight: 32 lb.